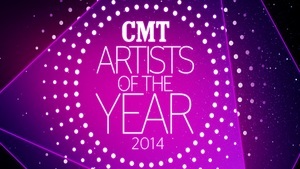 CMT will celebrate an incredible year in the country music industry by honoring Jason Aldean, Luke Bryan, Florida Georgia Line, Miranda Lambert and Keith Urban as the top country artists of 2014 in an all-new CMT ARTISTS OF THE YEAR, premiering LIVE from Nashville on Tuesday, December 2 at 8:00 p.m. ET. The 90-minute special will bring together this year’s five honorees and their peers for an evening filled with star-studded performances and celebration, honoring each artist’s successes over the past year.